We've only known about Nintendo Labo VR for just over a month, but its release date is now just one day away. 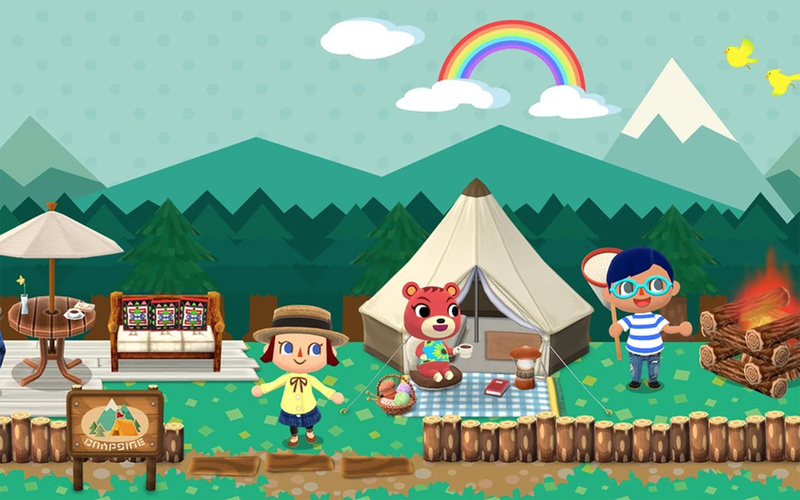 As part of the celebrations, Animal Crossing: Pocket Camp is providing players with some free in-game gifts. The gifts feature two of the Toy-Con from the Labo VR kit, with nice little replicas of the Blaster and Bird toys being available for all players. If having endless pieces of cardboard littering your real house isn't enough, why not plonk them all around your campsite, too? Does this mean that Animal Crossing Switch might have VR compatibility in the future? Well, no. It doesn't confirm anything. But we can certainly dream about it (just like we did for another 10 potential VR hits in our feature yesterday). 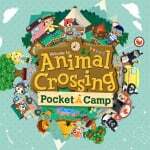 Are you a keen Pocket Camp player? 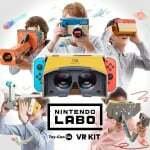 Will you be picking up the Labo VR kit tomorrow? Explain all in the comments below. Animal Crossing VR would be great! From seeing Rover on the train, looking through your collection in the Museum to chilling with Brewster or rocking out with KK Slider; so much potential here Nintendo! I get the feeling they are just testing the water with Labo VR. I would try an Animal Crossing VR as long as it wasn't wearing a cardboard box on my face.....aka LABO. I just want Animal Crossing Switch TODAY! Are they REALLY what your campsite's been missing? I suppose as toys they're pretty cool. Wireless, casual experiences with focus on the novel physical interactivity. For a nice bright camping day, the screen is even inside a dark housing, making glare a non-issue. Through mulling it over, I guess I've talked myself into agreement with Isabelle. So long as VR isn't mandatory I'm okay with Animal Crossing having it. Nintendo would never make it mandatory though. Right? @Andyjm $70 cardboard = cheap. Plastic with padding = expected. Wouldn’t it be funny if AC VR let you play NES games in your house? Then we could complain that Nintendo has found yet another venue to push NES games onto us. @Andyjm yah, me as well. I think if it were not a Labo accessory, I might have at least looked into it. I really like Animal Crossing, but I don't need it 3 inches from my face😁, but I am excited to see if we'll get pikmin4 soon. Maybe some more sega classics as well. I use Pocket Camp and received the news about them today. It said they were already sent to my mailbox and I had a month to claim them, but the mailbox was sadly empty.